Yaralla Sports Club Junior Sports Person Award is awarded to a local sports person that has shown their determination and persistence with sport. All our winners from 2017 are listed below – congratulations! Nominations for 2018 are now available online! Nominate a Junior Sports Person! 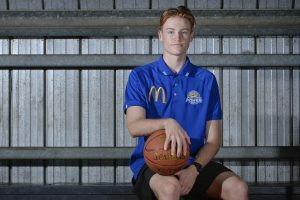 Lachlan Wilmot is a talented basketballer and is the first of this year’s Yaralla Sports Club Junior Sports Star nominations. 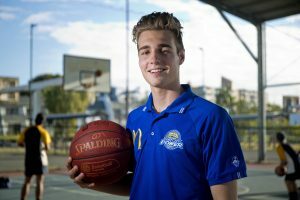 In January at the QLD State Championships he was offered a spot to play for the QLD South Emerging U17 men’s team, heading to USA in June to attend training camps and play in American College Basketball Competitions. Coby has recently qualified to compete at the Australian Age Nationals Swimming Championships in April for the 13 years male 100m and 200m Breaststroke events. These two events only attract approximately 25-30 swimmers in Australia who can achieve the fast qualifying time. The Age Nationals Swimming Championships are the goal for every competitive swimmer and the pinnacle event in the Australian Swimming Calendar. Harrison has potential to succeed in his chosen sport. He is a quiet achiever, well mannered, very respectful to his parents, coaches, club committee members, his team players and opposition team. 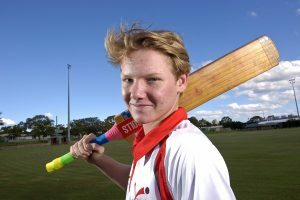 In the past 2 cricket seasons he has been selected in the QLD Silver Rookie Program and has an amazing bowling average in each team he represents throughout Queensland. 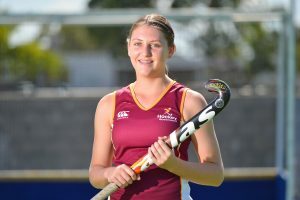 Last month Abbey was named in the Queensland U15 No. 1 team to compete at the National Hockey Championships in Moorebank NSW. 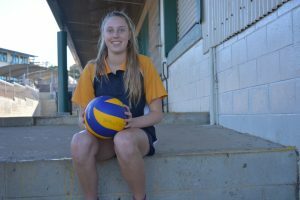 For the past 2 years she has also competed at the Australian All Schools Volleyball championships in Melbourne where she has captained the team. Brooke represented QLD in January at the National Cricket Championships in Canberra coming home an undefeated national champions. 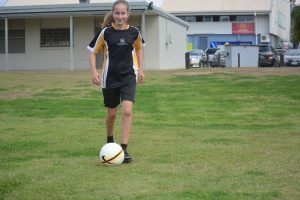 She has also represented Capricornia at the state soccer championships and has also just been selected in the Capricornia U 16 AFL team. 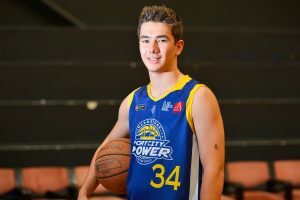 Boti has worked hard over the course of the last year to make the North Queensland U18 Basketball team. 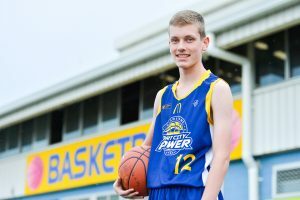 He has had to travel to Townsville every two weeks for the past three months for training and went from being cut from the state team in U16’s, to now being considered among the best in Queensland for his age. Emily excels in a variety of different sports and sporting codes. Whether it’s on an Aussie rules oval, a rugby pitch, basketball court or cross-country course, you know what you are going to get with the effort Emily Kirkwood puts in. 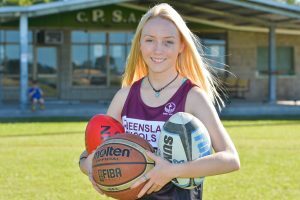 This year alone Emily has been selected in the Capricornia team for AFL, the U18 Gladstone Representative Basketball team, the Rugby 7 Youth Development team AND Capricornia for Cross Country. Sally took up competitive swimming just over 12 months ago and has returned from the QLD Primary School Trials with 2 medals including a silver in the 100m butterfly event. Sally has also taken up cricket for the first time, playing with the BITS Fire team, which consisted mainly of girls. These girls played exceptionally well against male dominated teams, just missing out on a GF spot. 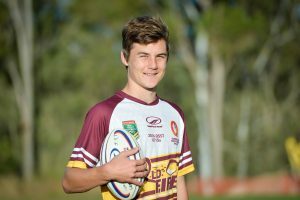 At only 13 Jack’s hard work has paid off with his selection into the U15 North Queensland Emerging team, which is selected out of the representative players from Hervey Bay through to Cairns. The Emerging Team travels to America for two weeks where they are involved in various training camps and a six day college competition. 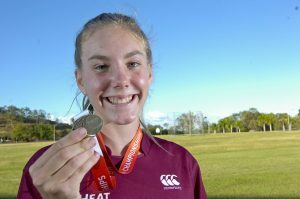 In February of this year Sophie headed to the QLD Little Athletics Championships where she took home the gold medal in the 15 years Triple Jump. This amazing accomplishment got Sophie to the Australian Athletics Championships in March where she won gold in the 15 years National Triple Jump! Jace was selected to represent QLD North U17 last year where he got the opportunity to travel to the U.S.A to play in the city of Los Angeles. 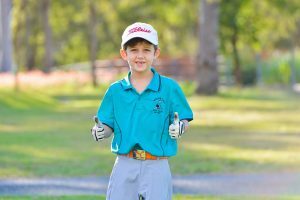 Cody recently played the Australian Junior Age Division Golf Championships in Yeppoon where he finished fourth overall in the 7-8 year boys division and second in the 7 year boys division. Aleisha holds Capricornia and Port Curtis records for shotput and represented QLD at the Australian School Sport Titles in Sydney. 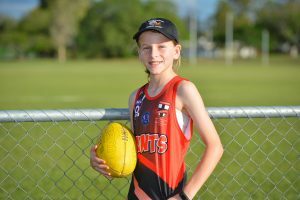 Aleisha has also made the U13 Gladstone Netball Team and was named in the Capricorn Claws Netball Regional Development Squad for 2017. 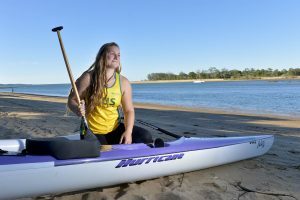 Tegan was chosen to represent Australia in the U19 Women’s Outrigging Crew in the Inaugural World Outrigging Marathon held in Tahiti. She also coaches and works with the younger members and this is not the first time Tegan has represented her country. Last year, she was part of the Australian U16 Women’s crew in the World Sprint Titles. 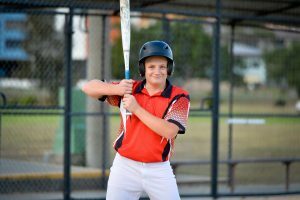 In 2016 Lochie obtained his Level 2 umpiring accreditation at the Boys State Championships held in Rockhampton. He remains the highest accredited Umpire for Softball Gladstone. Lochie continues to umpire at state fixtures for both Softball Queensland and Queensland School Sport and at National competitions to build on his expertise. Lochie is currently working on his next goal, obtaining his Level 3 accreditation. 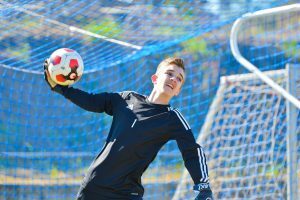 Dylan is a goalkeeper for the U17 and Senior Men’s United Football teams as well as being selected for the Gladstone and Capricornia teams. 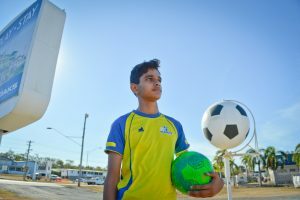 Dylan’s determination got him selected to go to the UK this November, with the opportunity to play against youth teams like Manchester United and Liverpool. 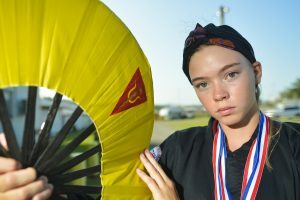 Izabeya represented Australia last year in China at world’s with her 12-18 international women’s group, making it into the final and her trio placing sixth in the world. 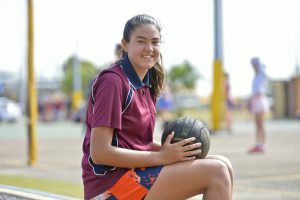 She made it into the QLD state team earlier this year and has just recently come back from the gymnastics championships in Melbourne where she placed second overall in Australia. Tallis is a talented touch football player who this year made the U18’s QLD team, which will play at the National’s in September. His U18 selection is amazing because he is still eligible to compete in the U16 division and Touch Football Australia have also placed him in the Australian Talent Identification Squad! This year Chelsea made the Queensland U17, QLD School Volleyball AND Australian Junior Women’s Volleyball team. 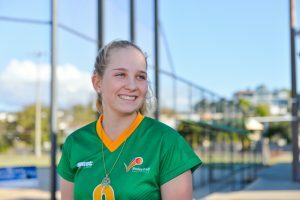 She has also represented Gladstone in Softball and made the Capricornia U19 Softball team. Regan has just returned from Paris where she represented Australia in the awesome sport of Dragon Boating. If you’re unaware of dragon boating, there are 22 people in the boat and all of those people have to have the exact same timing and the same technique. There is no room for anyone to be ‘better’ or ‘faster’ as you all have to work together to ensure the best results. Her dedication to the sport and her training regime are to be commended. 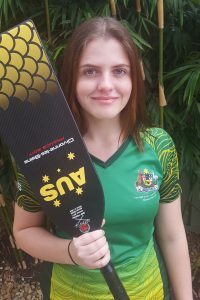 Living in Boyne Island, she has a 90 minute drive to her closest club and a 6 hour drive to train with other members of the Australian team. Flynn is a rugby player and excels in league and union! 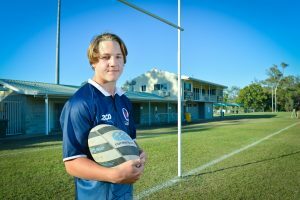 He was one of only 2 CQ players to be selected in the U14 QLD Country Rugby Union team and was also received a Capras Rugby League academy place this year. 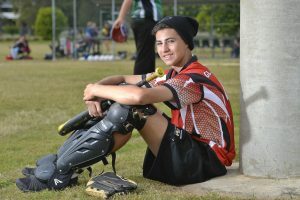 Tiaan has recently come back from the Queensland State Schools Championships in Hervey Bay late last month. Tiaan is a striker that was selected to represent Australia at the Donosti Cup held in San Sebastian, Spain.The youngster played five games and his team was knocked out in the second stage of the tournament by a Spanish side 4-2. 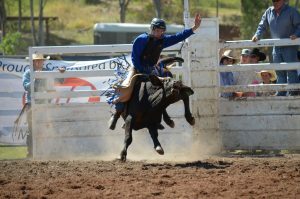 Finn has just recently competed at the Youth Rodeo Association events in Texas where he won both rounds and the average. He is off to NZ in September be a part of the Trans Tasman Australian team and compete in five events. Connor only started Softball in 2015 and made it into the Gladstone Squad in his first season! Connor was recently selected to represent QLD at the Nationals in 2018 and is also a soccer referee. Charlotte became part of the U19 QLD Volleyball Squad and will play in the Australian National Competition in September this year. Charlotte also represents her school in the Senior Volleyball team and has been a member of the Under 19’s Capricorn School Volleyball team in 2016 and 2017. Erin excels in so many sports it’s hard to list them all! 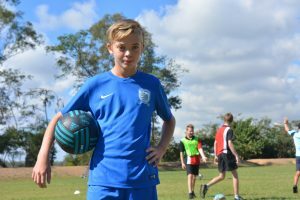 She has recently been selected for the U12 QLD Girls Football team, has made the Capricornia teams for football and basketball and was invited to play at the T20 Women’s Big Bash in Brisbane. Another all rounder! Brady Blake participates in over 6 different disciplines and excels in all of them! 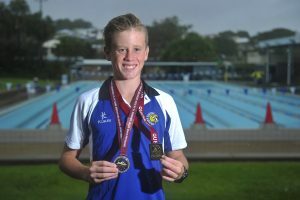 He was the winner of the Aquathlon at the Yeppoon Triathlon Festival and his relay teams won U11 gold for the Cameron Relay and the Board Rescue Relay. Fateh was selected to attend the Pre-Nationals training camp and the National Youth Championships representing QLD in the U14 Country team. Their team did extrememly well with little training, coming out 3rd overall at the Championships. Blaike started at a Handicap of 5 this year and is now at 1.1! He recently just won the BITS Junior Open, beating the favourite from Yeppoon. 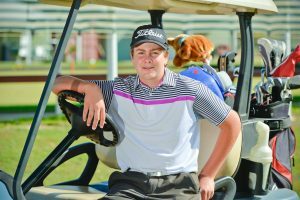 This year he has represented QLD in the State of Origin team, Junior Golf Starts of the Future team and the U14 Amateurs. He has also qualified for the Greg Norman Junior Masters. 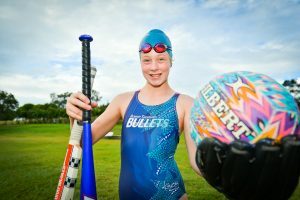 Olivia has consistently achieved at the highest level of her sport, winning dual gold medals and dual silver medals in the Queensland State Championships in July. Olivia has been selected to go to Jogjakarta, Indonesia in April 2018 for two weeks specialist training in the Pencak Silat Seni discipline of Jurus Tunggal. See our 2016 winners here!